It's Halloween, and Maria Dolores is hoping for a trouble-free weekend, the last one before the Lighthouse Farmers' Market closes for the winter. But her hopes are dashed when a state agricultural inspector threatens to shut down the market prematurely...right before a young woman falls to her death from the lighthouse cliff! The local homicide detective thinks it was suicide and won't listen to Maria's extensive list of possible suspects for foul play or the fact that the victim was known for getting into fights that went beyond mere words. Not even Maria's boyfriend, lawyer turned farmer Merle Curtis, can convince the detective otherwise. 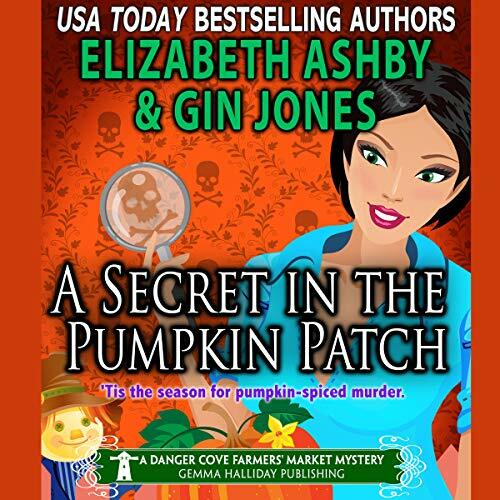 Now, it's up to Maria to unearth a secret in the pumpkin patch before the killer buries the truth - and possibly Maria along with it - forever. It was hard to rate the story as the narration seemed computer generated and its' lifeless nature spilled over into the story. I have liked other Danger Cove stories a lot. Different authors and narrators create different products. Other titles are great. This narrator needs professional training! Poor pace, emphasis on wrong words, consistently poor declarative form resulting in a “valley girl” feel to the read... good story. Bad performance. An awful narrator just made a pretty dismal and boring book even worse than it needed to be.